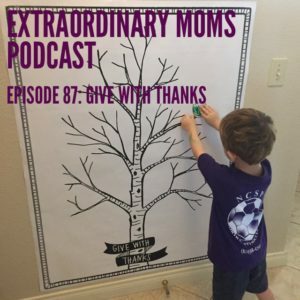 Last year I did something really neat with my kids and I wanted to share it with you in case you are looking for something meaningful to do with your children leading up to Thanksgiving. It’s called the Give With Thanks Challenge. You can click on the link to get more info, but the basic premise is for November to be a month focused on service and gratefulness. We printed out the large tree with the leaves to stick on every time we did an act of service. We had a calendar of service ideas so that when we had some time, we could choose one of the activities (we didn’t do a big event every day but we could always think of something service oriented we did). And I loved the little lessons we could do each week reinforcing this idea of the importance of service. My friend Melanie helped design all the beautiful printables and they are as gorgeous as they are meaningful. So, think about how you want to spend your November and maybe this is a fit for your family. 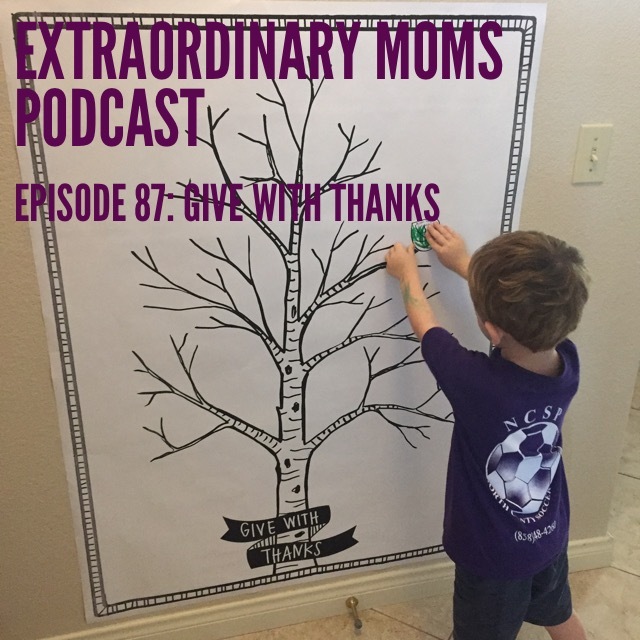 Regardless of what tradition you choose to implement, it’s all about the meaning of Thanksgiving, and helping your kids to recognize their own blessings and how we can bless others.